Adding a cover crop that livestock can graze to the rotation plan can improve soil health and help protect the environment. 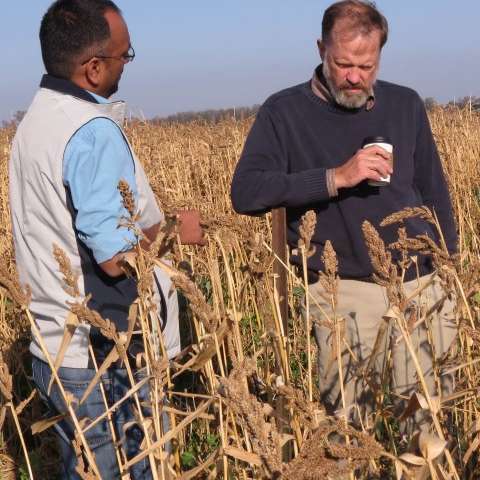 That's the premise behind a four-year, nearly $4 million U.S. Department of Agriculture project, spearheaded by South Dakota State University assistant professor Sandeep Kumar of the Department of Agronomy, Horticulture and Plant Science. Though grazing cropland was once common, Kumar admitted, "most farmers are not into this practice." The fall crop will not only provide nourishment to cattle, sheep, goats and other ruminants, but will bind nitrogen to the soil, reducing runoff into lakes and streams. 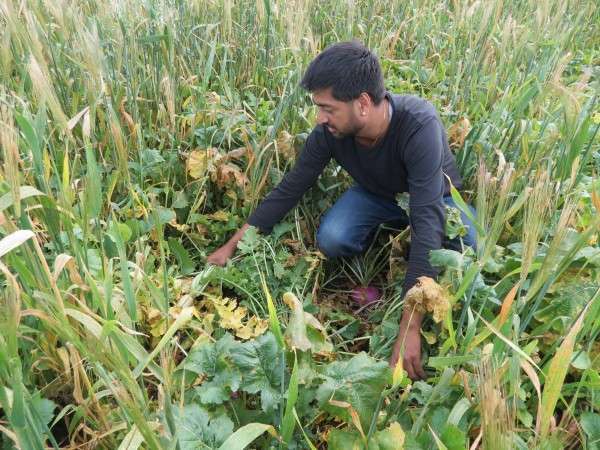 The integrated crop and livestock management system seeks to use crops, such as oats, sorghum, turnips, radishes or millet, planted after harvest for grazing, Kumar explained. The National Institute of Food and Agriculture project involves 26 scientists from five universities including North Dakota State University, University of Wisconsin-Madison, University of Nebraska-Lincoln and the South Dakota School of Mines and Technology along with USDA offices in Lincoln, Nebraska; Mandan, North Dakota; and Brookings. The researchers will assess the impact of incorporating grazing crops at seven sites covering three states—North Dakota, Nebraska and South Dakota. "We're expecting this practice to help increase crop production," explained Kumar. The researchers will share their results with producers through a quarterly newsletter, which will be available along with other project information at www.ipicl.org. 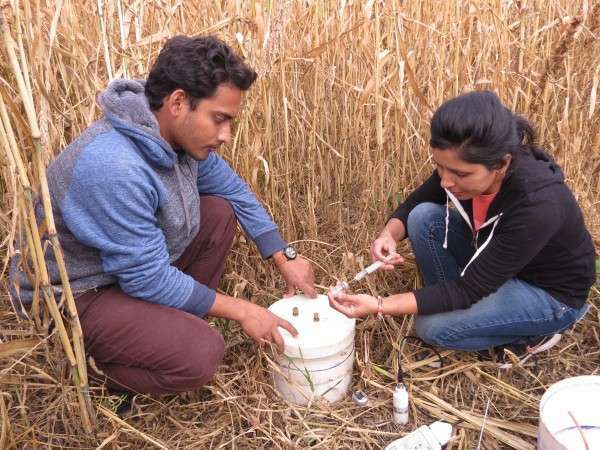 "The hypothesis is that this system can alter nutrition cycling and improve soil resilience," Kumar said. The practice may, in the long run, reduce the need for chemical fertilizers. One of the concerns the researchers seek to resolve is the availability of moisture. "The treatments are different in each state because of the variability in precipitation," Kumar noted. In South Dakota, he said, "we are putting the cover crop in a three-year rotation, right after small grains, which are harvested in June and July." At the Southeast Research Center near Beresford, for instance, the researchers are evaluating three treatments—corn-soybean-oat, corn-soybean-oat/cover crop and corn-soybean-oat/cover crop with grazing. 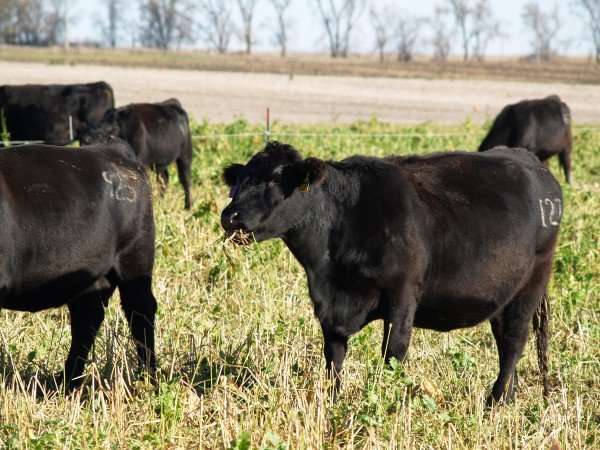 In addition to sites at Brookings and Beresford, several producers in South Dakota, who have been utilizing an integrated crop-livestock management system for more than a year, have agreed to participate in the study. Researchers will gather data on soils, crop and livestock performance and environmental parameters, Kumar explained. "The goal is greater sustainability."